If you don't like yellow snakes here are some blue ones! These are part of the Serpentine Collection designed by Toma for the TCH COLLECTION. 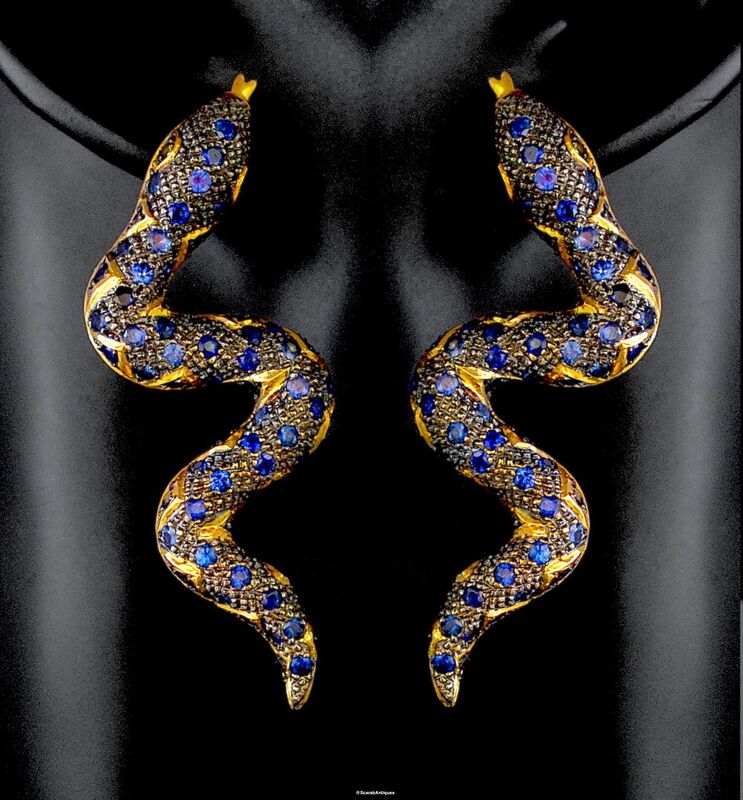 The 18ct yellow gold vermeil & black rhodium plated bodies have been set throughout their length with blue sapphires with green sapphire eyes. 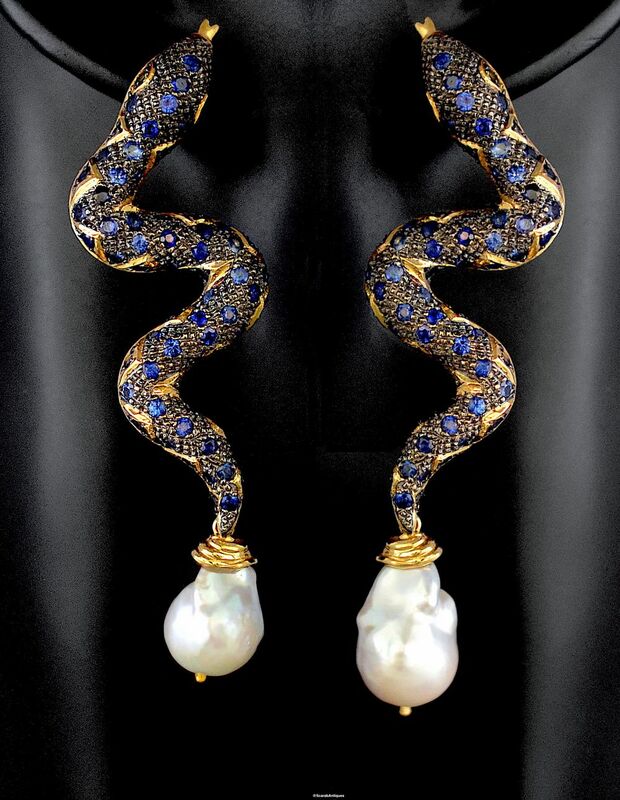 There is a detachable 18ct yellow gold vermeil topped white freshwater baroque pearl suspended from the tip of the tail. The earrings are for pierced ears.